The summer is winding down (say it ain’t so! ), which means you only have a couple weeks left to get a summer vacay in. While it can be strangely easy for many people to push off planning time away from work and the stressors of the everyday grind, it’s incredibly important because when you relax on vacation, your body responds accordingly. And if you’re a person who doesn’t think you need to take a break and relax, we’ve got some reasons that prove why EVERYBODY needs a vacation. We totally get that not everyone can afford to go spend weeks at a beach resort. But any sort of break — even if it’s a staycation for just a day or two — where you can get time off from work or family obligations is so worth it. And if you need proof of it or need help being inspired, we got you covered with eight ways relaxing on vacation impacts your health. Because it’s not just your mental health that will benefit, but your physical health as well. Next time you want to request some time off work, just print this out and show it to your boss! According to health professionals who spoke to The Huffington Post, many people get better sleep on vacation. There are a number of reasons for that, including that hotel rooms are usually kept cooler and have less light coming into them than your bedroom at home — both factors which are beneficial to good sleep. But even if you aren’t staying at a swanky hotel, you’re probably depending less on caffeine on vacation since you don’t have to make it through the workday. And you typically aren’t doing anything mentally taxing (like checking work emails) in the time leading up to snooze town while on vacation, allowing your brain to relax before sleep. 2Relaxing rebuilds the brain and body. In an article for Psychology Today, Dr. Matthew Edlund (who directs the Center for Circadian Medicine) says that along with rest on vacation making people feel and look younger, time off renew people’s minds and bodies. 3It’s good for your heart. As The New York Times reported, Framingham Heart Study found that women who took vacations only once every six years or less were almost eight times more likely to develop coronary heart disease or have a heart attack than women who took at least two vacations a year. 4Vacations could prolong your life. Another study, the Multiple Risk Factor Intervention Trial (MRFIT), also focused on a vacation’s relation to heart health by studying over 12,000 middle-aged men with a high risk of coronary heart disease. And while vacations did minimize death by heart disease, Dr. Stephen Sinatra (who founded the New England Heart Center) also reported that an increased number of annual vacations was “associated with a reduction in deaths from any cause” for middle-aged men. While we can all figure that meditation and vacations are good for relaxing, a study conducted by scientists from the Icahn School of Medicine at Mount Sinai; the University of California, San Francisco; and Harvard Medical School showed that both activities actually created large changes in gene expression with significant improvements in stress levels and immune system function — even for the women in the study who didn’t meditate and only vacationed. 6Basking in the sun is good for your immune system. Speaking of immune systems, most vacations entail more time outdoors, which means more fun in the sun. As an infographic from the vacation company Club Med noted, exposure to sunlight releases serotonin in your brain. Serotonin can not only improve your mood, but Club Med notes that the chemical boosts immunity, lowers blood pressure, and increases production of white blood cells. 7Vacation time makes you resilient. Dr. Gregory Fricchione, the director of the Benson-Henry Institute of Mind Body Medicine at Massachusetts General Hospital, told CNN that vacation gives you time to build “resiliency.” This resilience is about how your body handles pressure and the more resilient you are, the more you’ll be able to adapt to stressors and not let them get the best of you. 8You’ll just feel healthier overall. A better mood and more energy usually come with vacation, Jessica de Bloom told NPR. de Bloom studies how a vacation affects stress at the Radboud University in the Netherlands and while you may lose that healthy feeling that comes from relaxing when you return to your normal life, she doesn’t think that’s a good reason not to go on vacation. “It would be a bit like asking, ‘Why do we sleep despite the fact that we get tired again? '” de Bloom said. 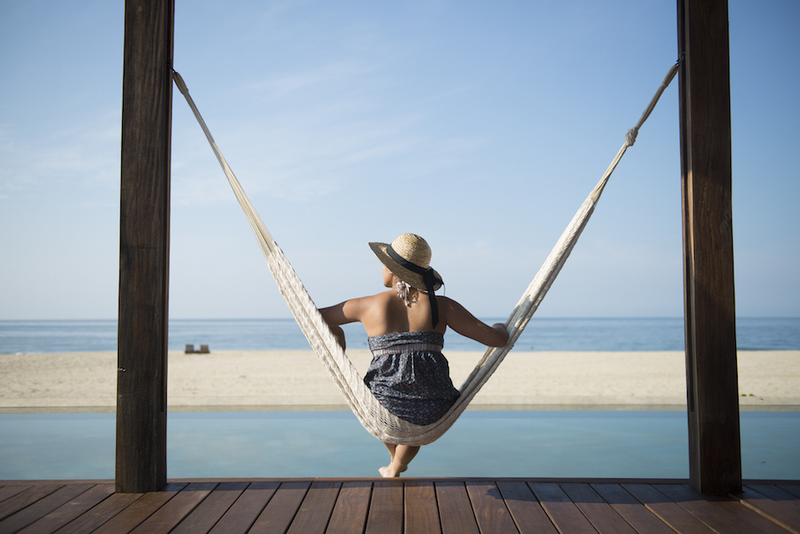 So whether you fit one in before fall arrives or take some time to go on a trip later, don’t underestimate the importance of relaxing on vacation when it comes to your health. And don’t let the stress of vacation planning take away from all of its lovely, relaxing benefits.